Since we opened our doors in 1965, Barron’s Rental Center has enjoyed steady growth and success as well as the involvement of the second generation of the Barron family. Barron’s Rental Center was founded in 1965 by Charles Barron, Sr. who had been chief accountant at General Time. Charles Sr. wanted to pursue his dream of running his own business. Barron started his enterprise as an A to Z Rental on Baxter Street with one full-time employee. Customers were primarily home owners and do-it-yourselfers. 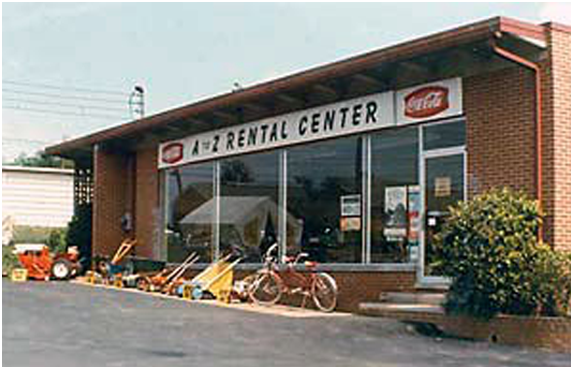 In 1969, Barron’s dropped his contract with A to Z and changed the name of his business to Barron’s Rental Center. Barron’s continued to grow and change through the years. In 1982, Charlie Barron, Jr., who had worked at the store since he was a young boy, came into the business as a full-time employee. It was his dream to add full-service party and event rentals in order to meet the growing demands of the Northeast Georgia area. Another change occurred in 1988 when Charlie Barron, Jr. bought the company. Charlie graduated from Clarke Central High School in 1978 and then graduated with a degree in Business Administration from The University of Georgia’s Terry College of Business in 1982s. Barron’s Rental Center also has developed a much more diverse clientele, including contractors, industrial interests, caterers and event planners. Charlie Barron, Jr. attributes the company’s growth to their ability to keep up with technology by offering customers the latest trends in rental services. With over 100 years of combined experience in the rental industry, the employees at Barron’s Rental will be able to give you the proper recommendations that are needed for your home improvement job or the next party you are planning. Charlie is a true Athenian, born and raised. He graduated from Clarke Central High School in 1978, from UGA Terry College of Business in 1988, and purchased Barron’s Rental Center from Charlie Barron, Sr. in 1982. At that time, Charlie saw a huge need for party rentals in Athens and created the Party & Event side of the business. Since he has owned the store, Charlie led Barron’s to be the most established rental store in Athens, Georgia. Andy has been employed with Barron’s for about 30 years, since it was owned by Charles Barron, Sr. Starting as a mechanic, he is now the store manager and oversees day to day operations as well as the delivery team. Jeff has been with Barron’s since 1993. In his time here, he has been on the delivery team, a warehouse manager, and a laundry supervisor. He is currently the front desk manager. He has seen it ALL when it comes to party and equipment rentals, and can help you choose the right equipment for your job. Ashley has been helping to coordinate event rentals since 2015. She handles bookings for large accounts, as well has helping brides to plan their rentals and creates event layouts. Ashley also works with the laundry and dish-room to keep inventories accurate and to purchase needed items. Seth has been helping around the shop and lower warehouse since 2015. He makes sure that every piece of equipment is fueled, clean and ready to go out on orders. Seth also loads and unloads equipment, party rentals, and assists our delivery drivers during the busy seasons. Brandy has been keeping our laundry pressed and the dishes clean since 2016. She is responsible for making sure the orders going out at the store are accurate, as well as assist the delivery team in pulling their linens. She has a great eye for quality control, and is integral in keeping our inventory accurate. Courtney has been helping to keep our laundry and dish-room clean, organized, and fully-stocked since 2017. She assists the supervisor in keeping an accurate inventory, pressing linens, cleaning dishes, organizing the warehouse, preparing and loading orders to pick up customers. Eugene "Tote" has come and gone from Barron’s a few times, but in total has been working here for 10 years. He is one of our delivery drivers, and is responsible for getting tents set up, dance floors put together, and delivery orders on time to our customers. Tote also helps to arrange the delivery and pick up schedule with the General Manager. Robert has set up tents and delivered hundreds of orders for Barron’s since 2001. He has done everything from clean tents and organize the warehouse, to massive set-ups for weddings, different UGA department events, and sorority/fraternity functions. Donell first started working at Barron’s in 1997. He left for a little bit as he moved around, and returned to us in 2011. Donnell is someone who always has a smile on his face and enjoys interacting with his delivery customers. He has experience in delivering and setting up tents, hanging chandeliers and liners, and putting together dance floors and stages.